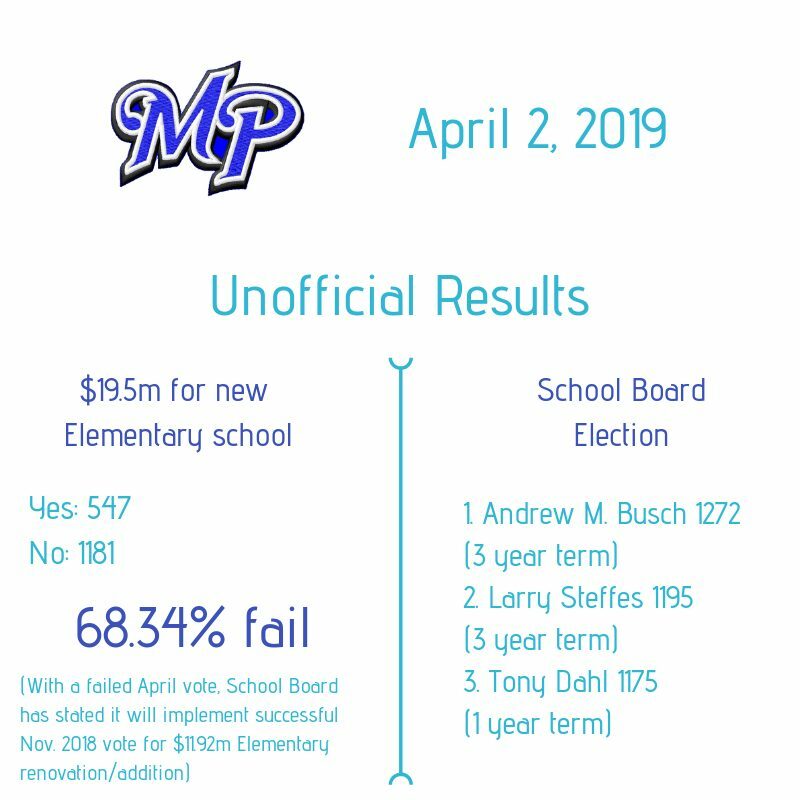 Mineral Point Unified School District voters rejected a referendum question on the April 2, 2019 ballot. The question asked for $19.5 million for a new elementary school to be built on the existing middle/high school campus. With a failed April vote, the School Board has stated it will implement the successful November 2018 vote for an $11.92 million renovation and addition to the existing elementary school. We are appreciative of our community’s support for education and now turn our attention to moving forward with improving the educational learning and working environment for our elementary students and staff, as supported by the November 2018 referendum. We will continue to keep you updated on next steps with regard to the elementary building renovation and addition. Thank you, Pointer Nation, for being part of our plan for the future. 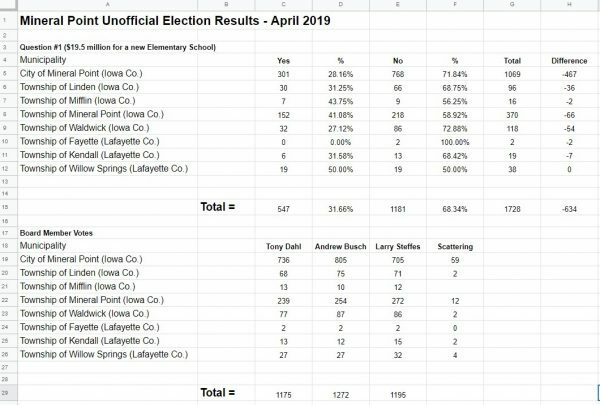 School Board: Incumbents Andrew M. Busch and Larry Steffes have earned three year terms with Tony Dahl receiving a one year term.